There are few things in life I enjoy more than soup. There’s just something about taking a few very simple ingredients and turning them into something luxurious, and soul-satisfying, that appeals to me. I absolutely love looking through my fridge and pantry, and finding inspiration in some form or another. I usually don’t go to the market with a soup in mind, but after I make a dish, the leftovers always seem to inspire me. I believe that making soup is one of the best ways to practice technique. One of my culinary idols, Marco Pierre White, the mentor of Gordon Ramsay, once said that, “Cooking is about knowing when to stop cooking. Everything peaks. We peak, beauty peaks, food peaks.” With soup, I find this statement to be very true. The following recipe is for a soup that hits all of the basic tastes. The sweetness of the bell peppers is complemented by sourness brought to the table by white wine vinegar, and the meaty, umami flavour delivered by the mushrooms. The mushrooms themselves are sprinkled with some pimento (smoked paprika), to bring out the meaty flavours of the mushrooms and add some spice. and sweat (cook gently), for 3-5 minutes, or until soft. parcel. Tie with the string. until the liquid has reduced to a syrup. minutes until the liquid has reduced to a syrup. and then gently simmer for 5 min. hot soup. Blend until smooth. a silky smooth puree. Reserve for later. of canola oil over medium-high heat. Season the mushrooms with salt. the same for the other side. 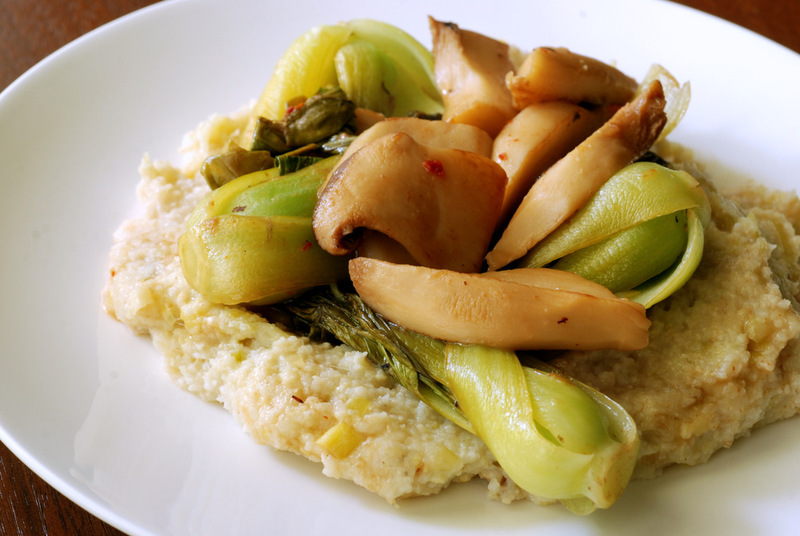 white mushrooms have less water and will take less time to cook. it’s done), put in the butter, and baste. some of the oil off. and fresh basil on one side of the mushrooms. Reserve for later.